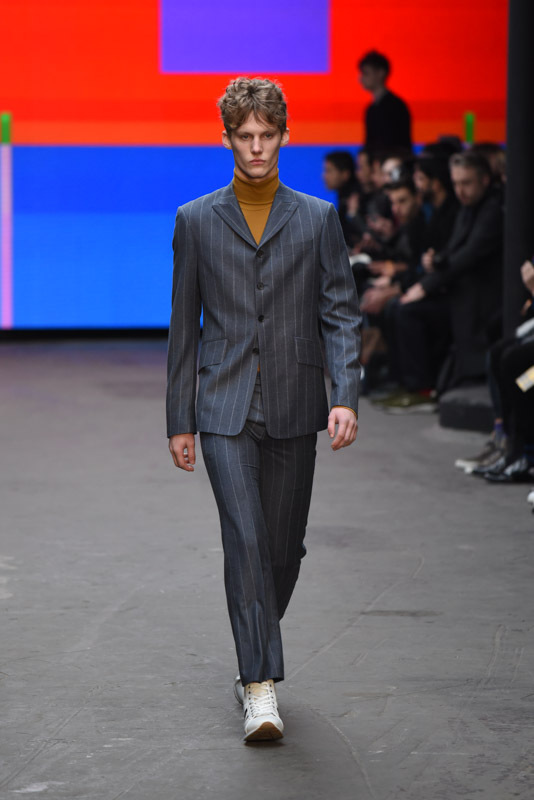 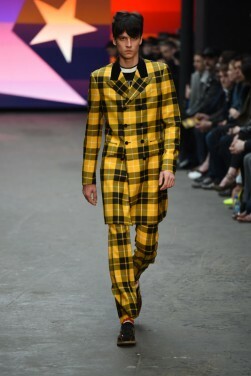 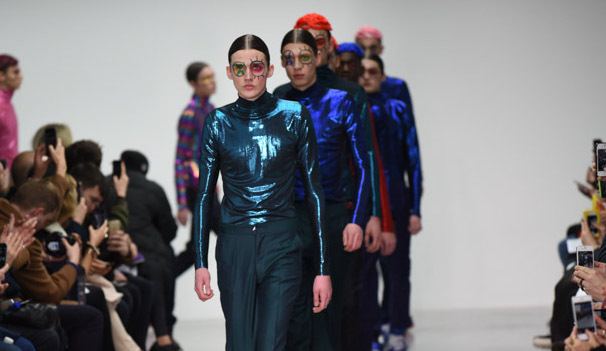 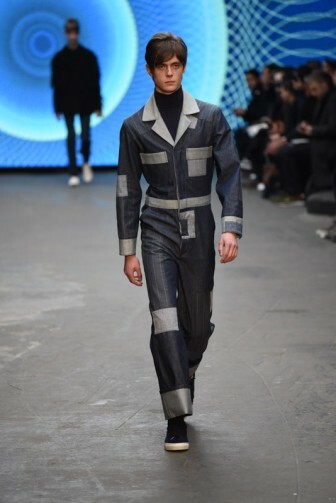 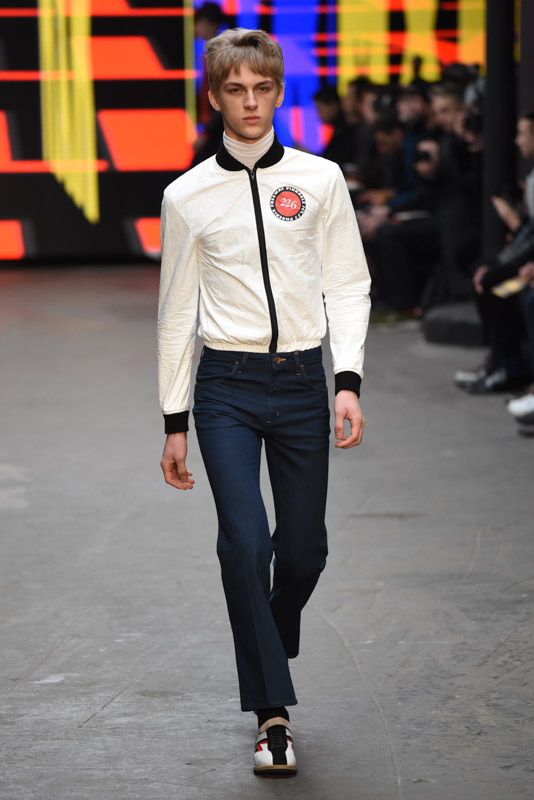 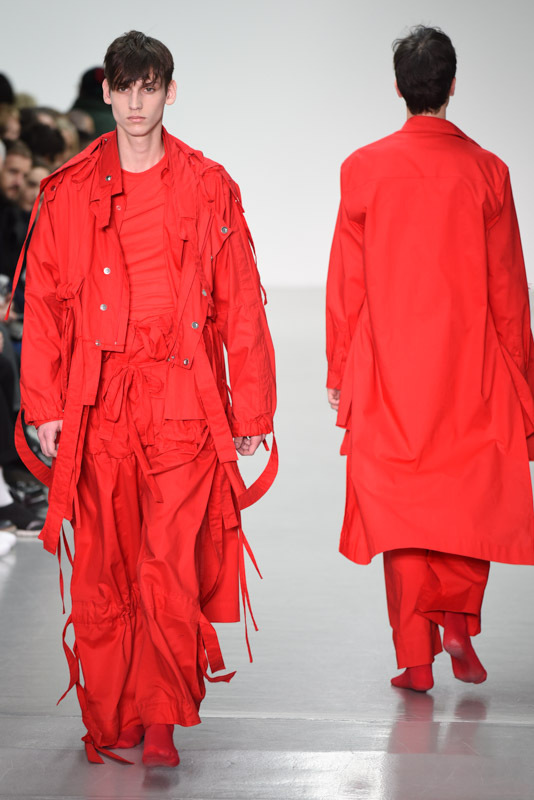 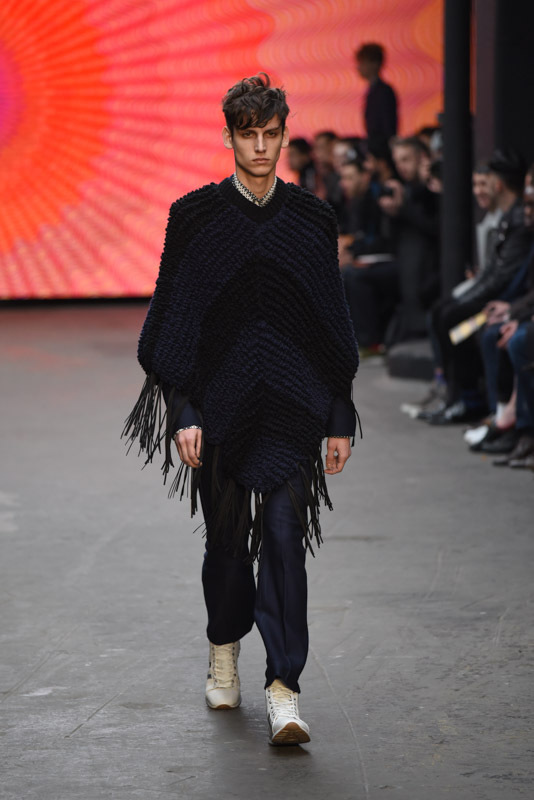 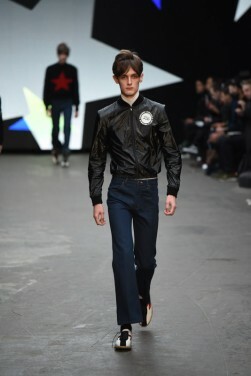 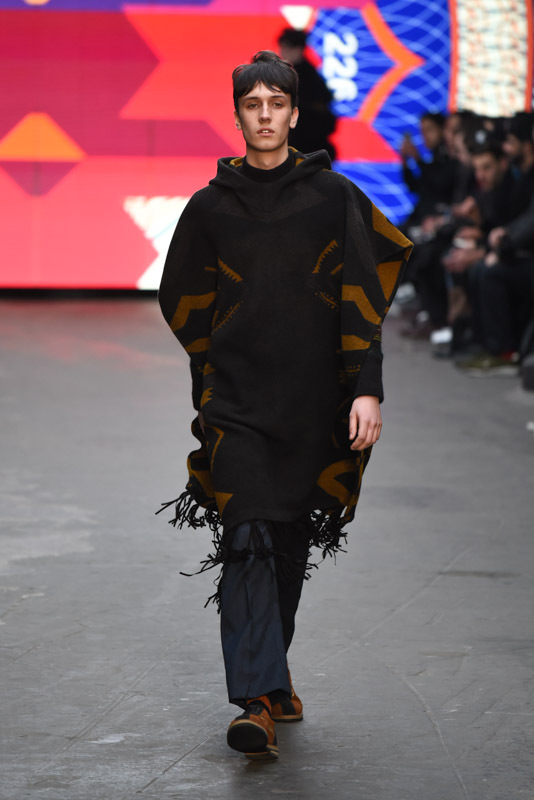 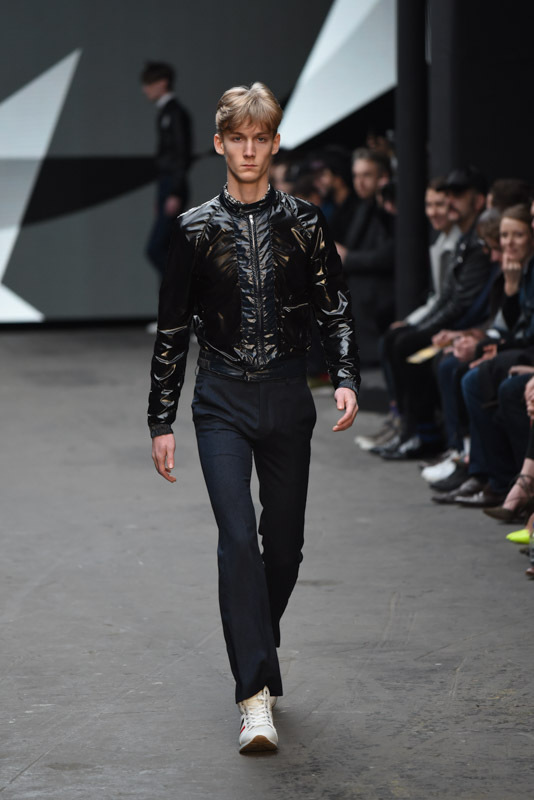 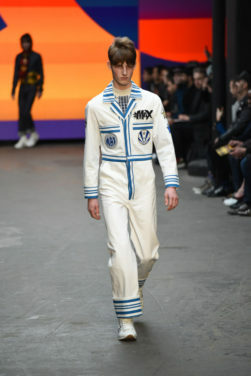 The Topman show for LC:M kicked off yesterday in London’s old Sorting Office adding a sleek and stylish warehouse vibe to the event. 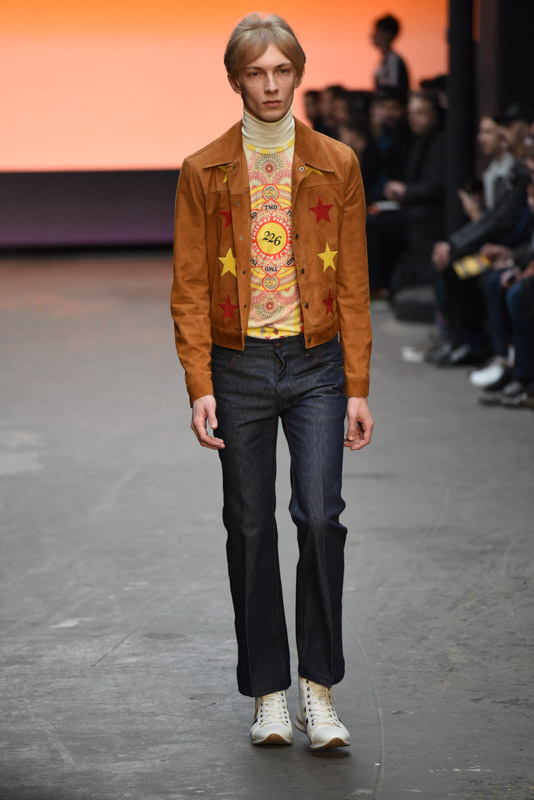 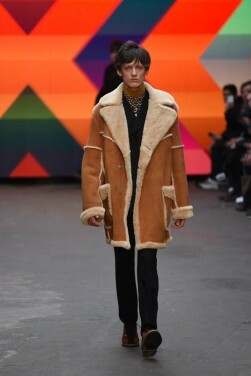 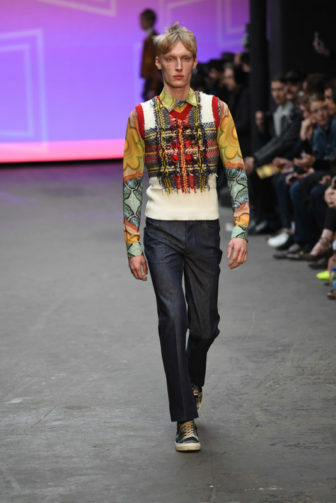 Being one of the leading high street brands in the UK, this is the place to look to for the seasons coming trends and there was an obvious, stand out theme to this show – the 70s. 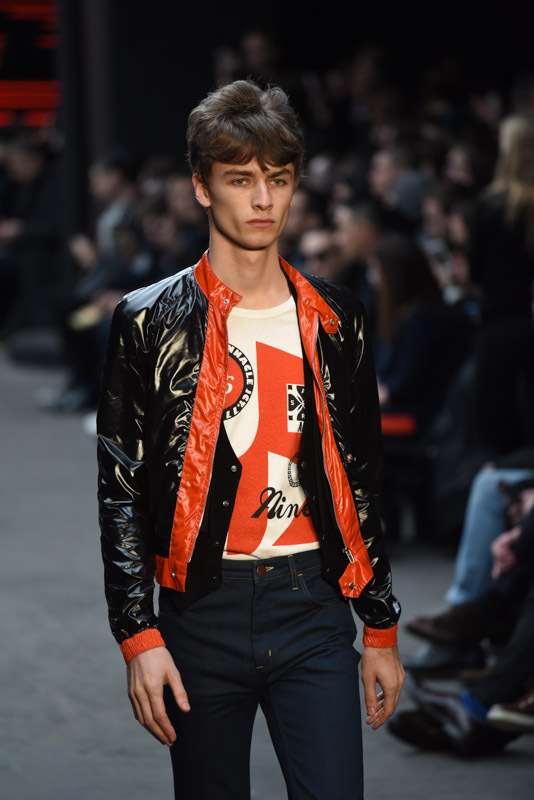 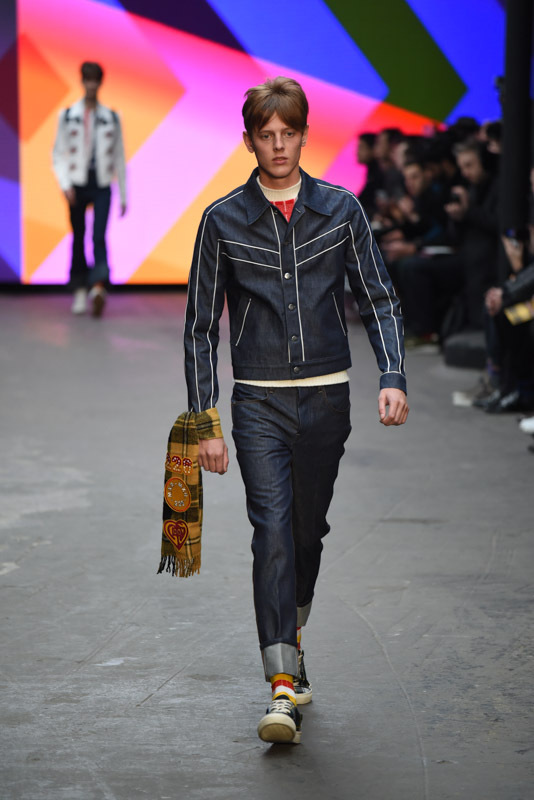 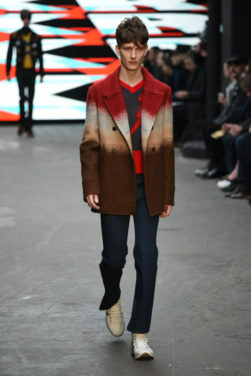 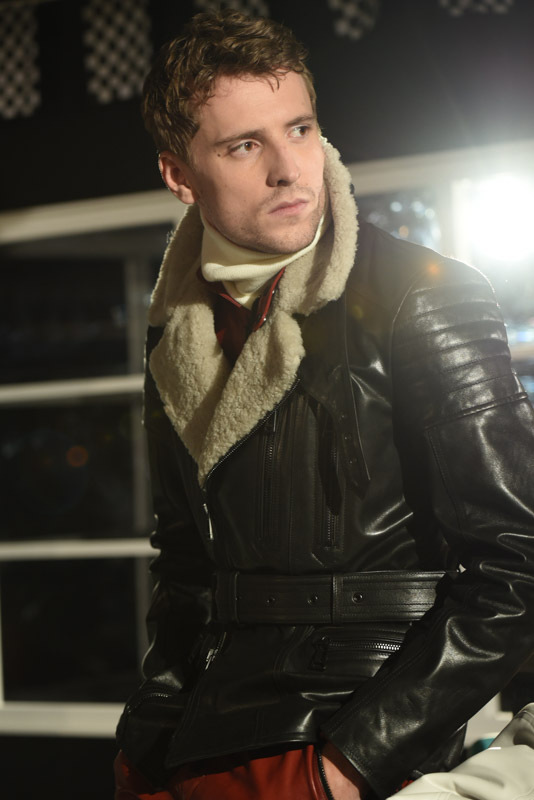 Shearling coats and flared jeans echoed the music heroes of the time, with a rocker edge to most of the looks that came down the runway. 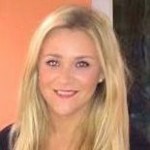 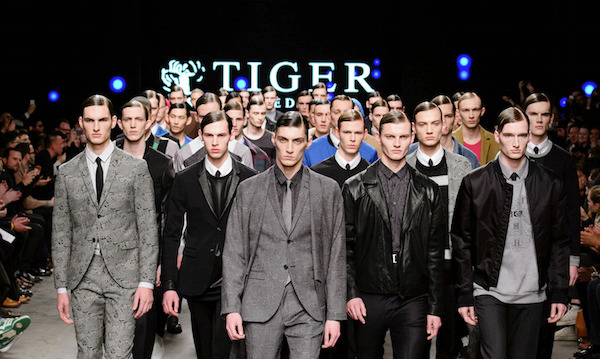 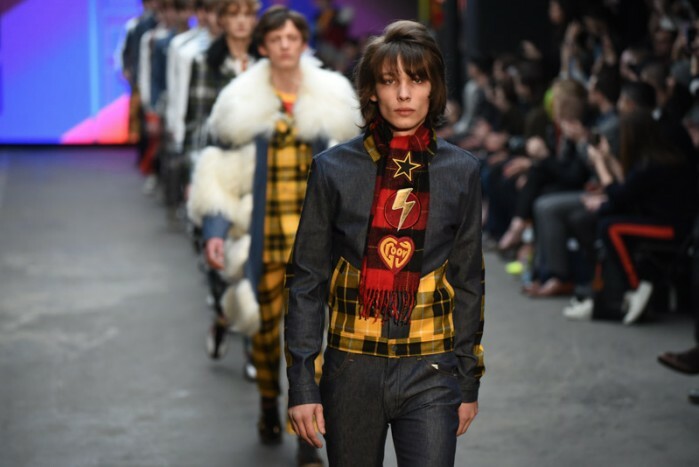 Think of bands such as the Bee Gees and Bay City Rollers, these leading role models of the time provided the best inspiration for this well known era of fashion. 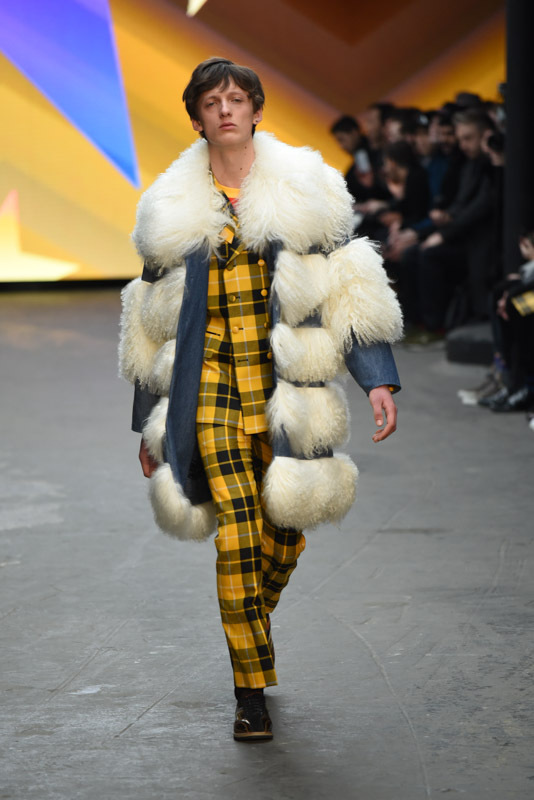 A bold mixture of textures and prints is something that is at the forefront of these looks – combining clashing designs and patterns – florals with tartan, tartan on tartan, making these styles not for the faint-hearted. 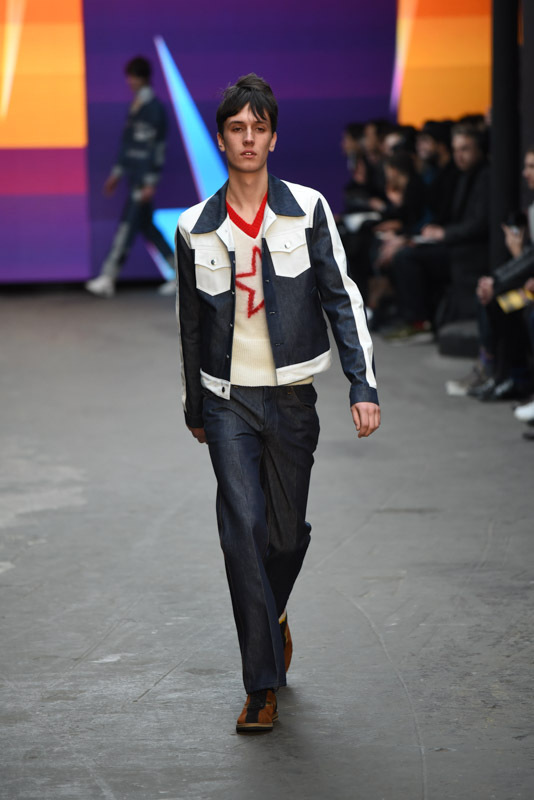 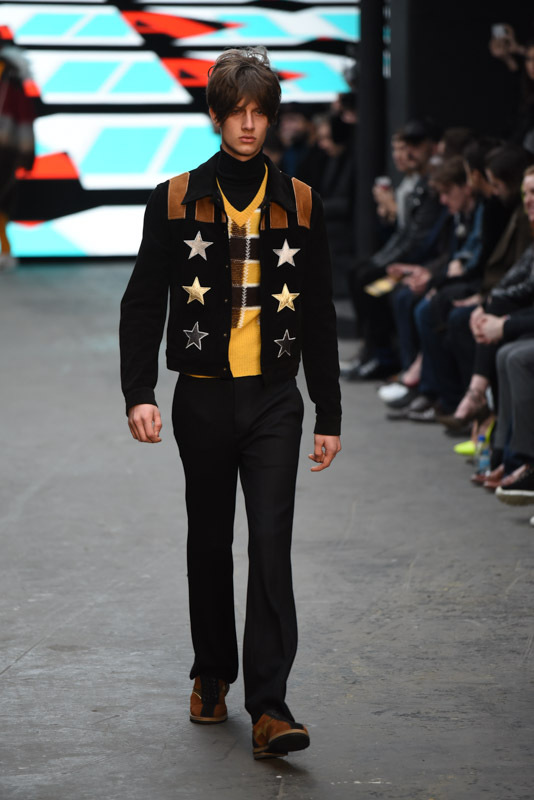 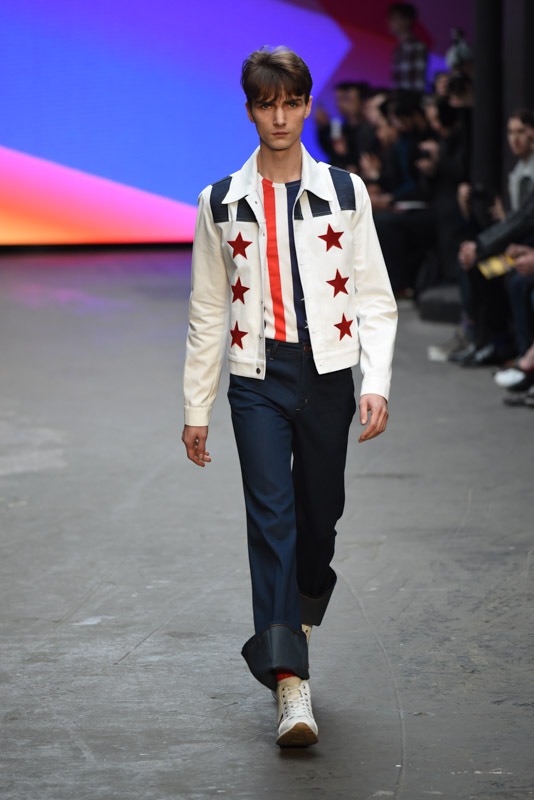 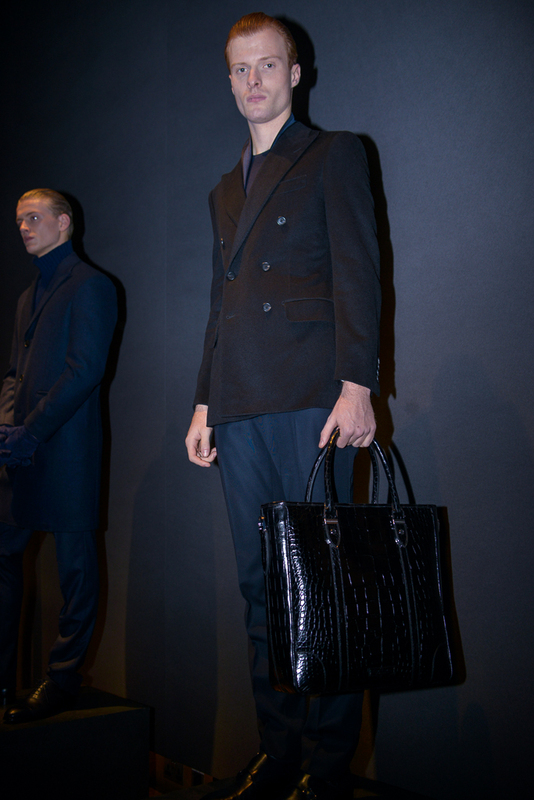 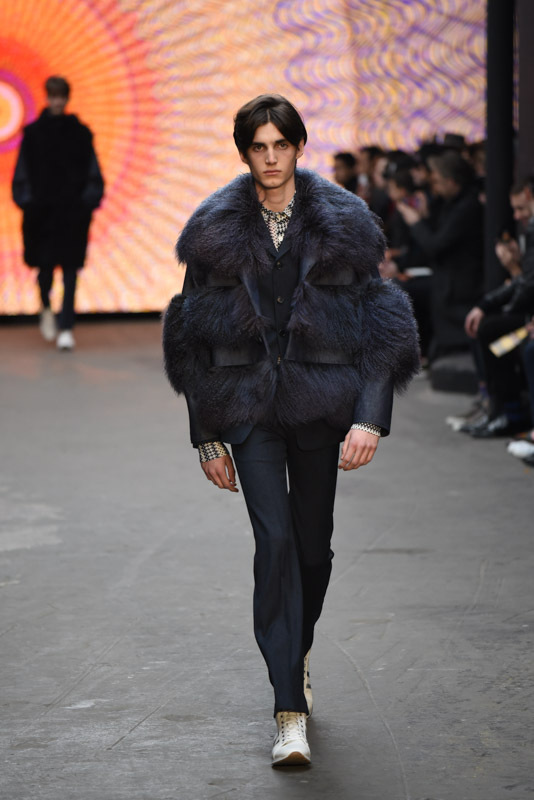 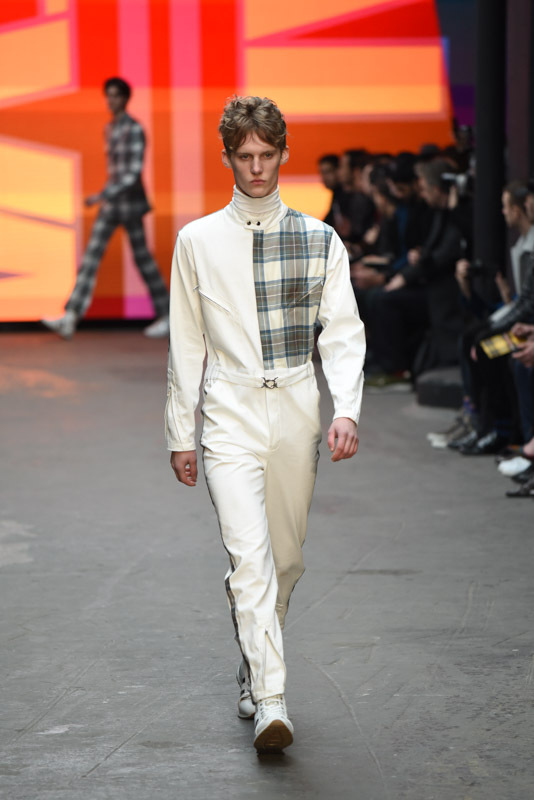 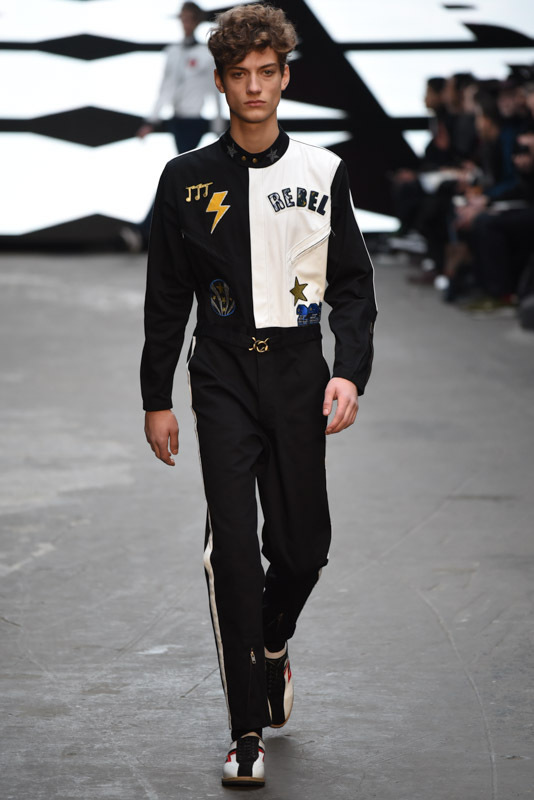 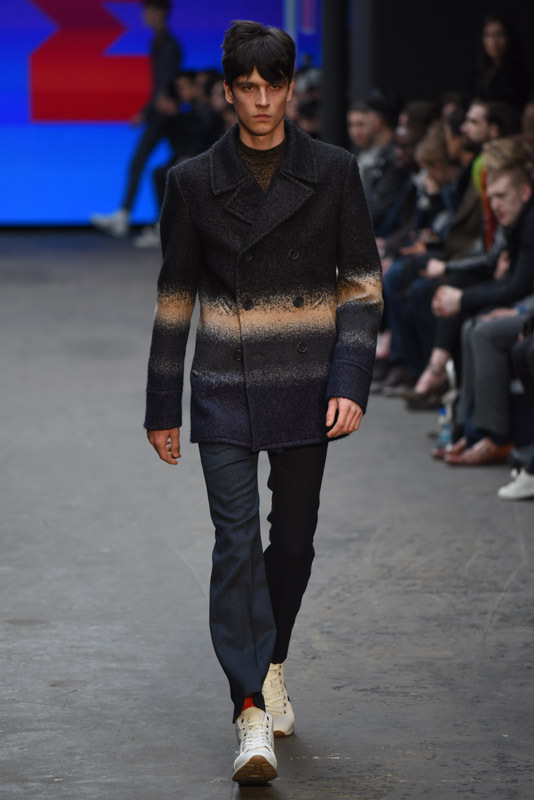 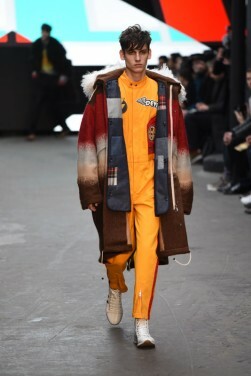 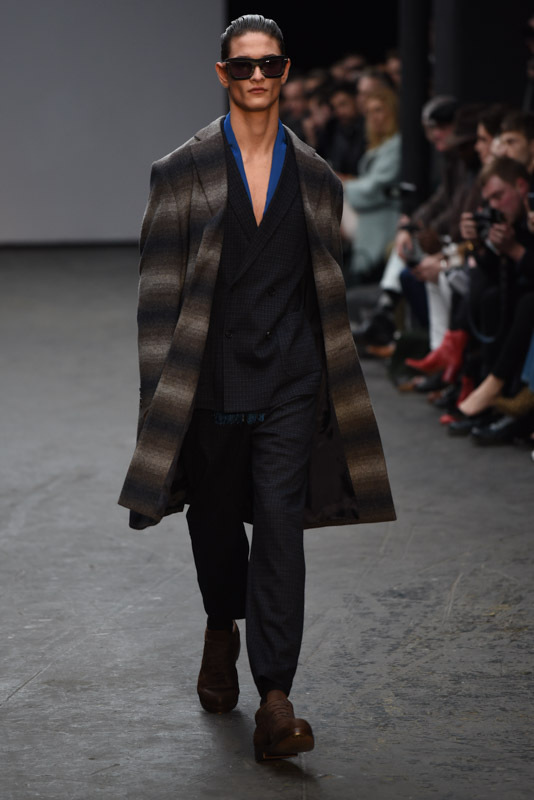 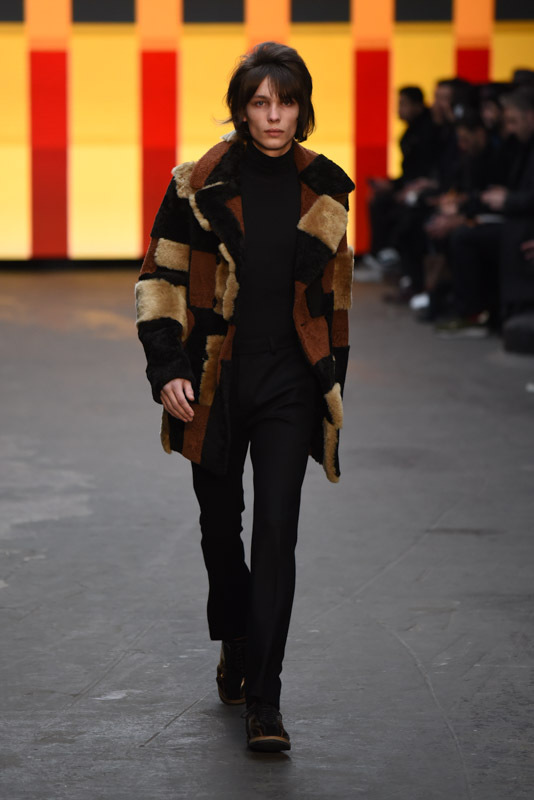 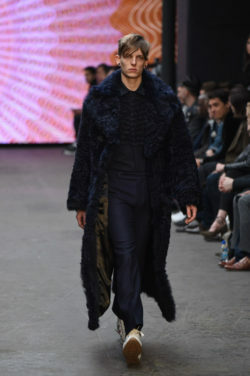 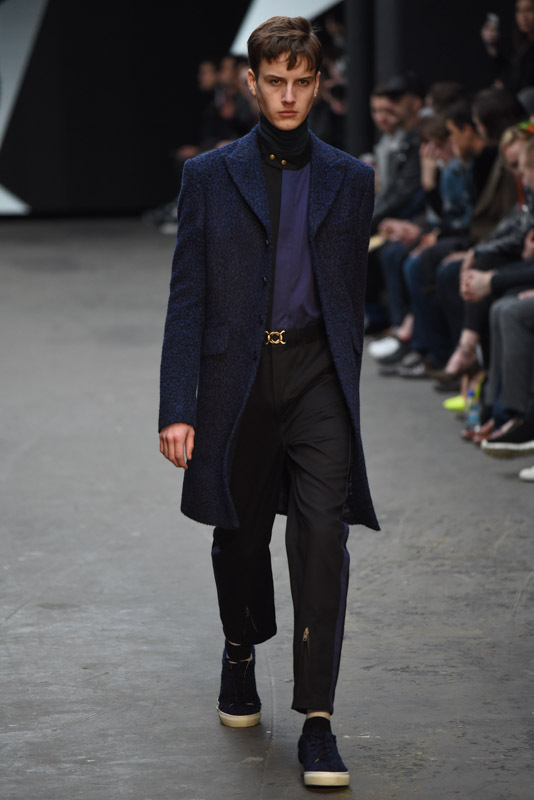 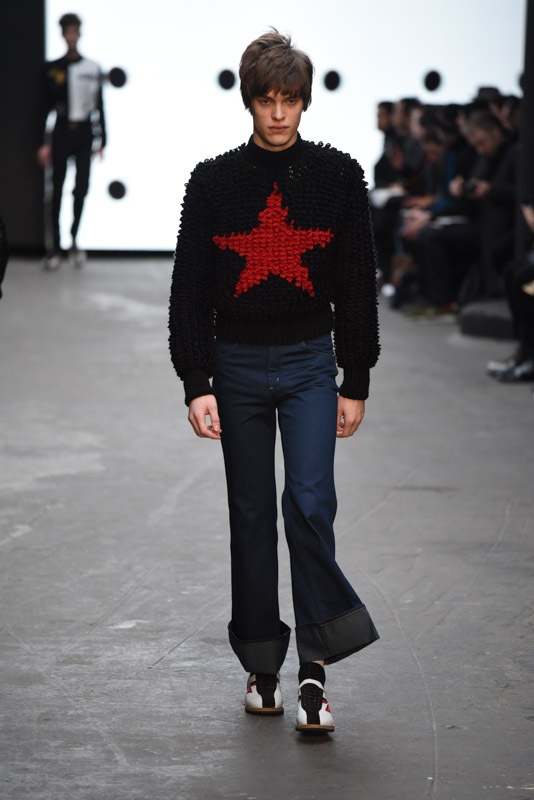 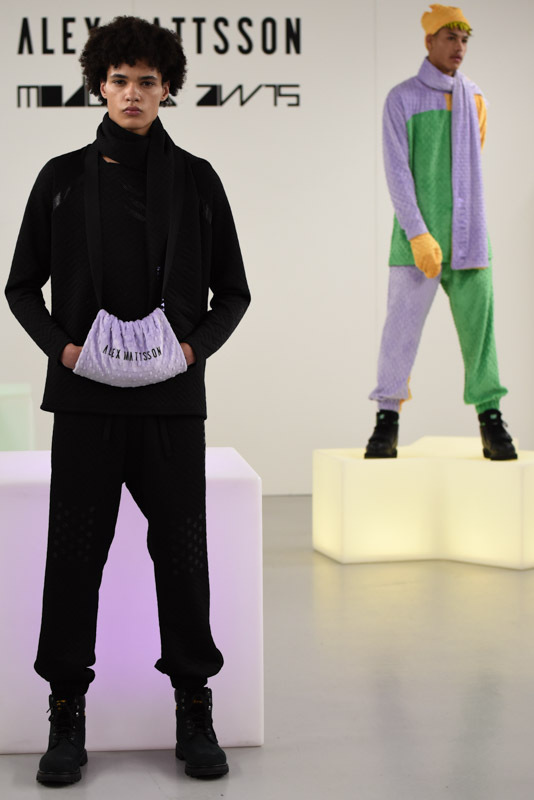 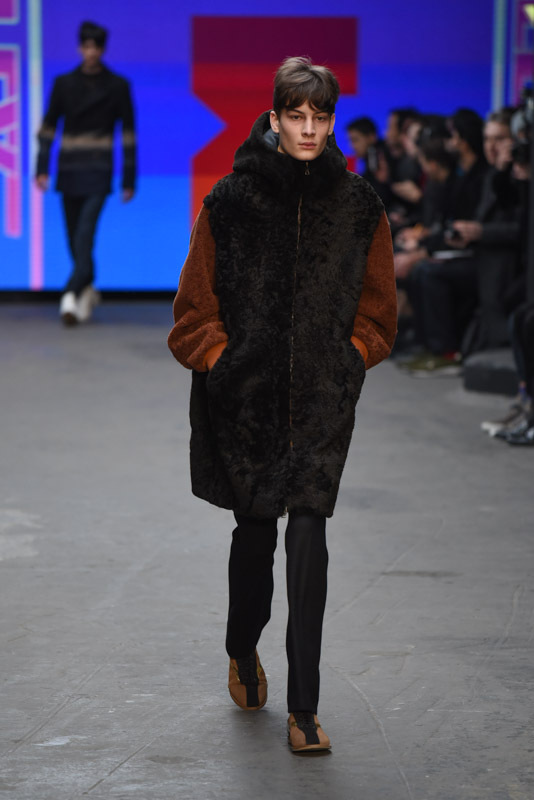 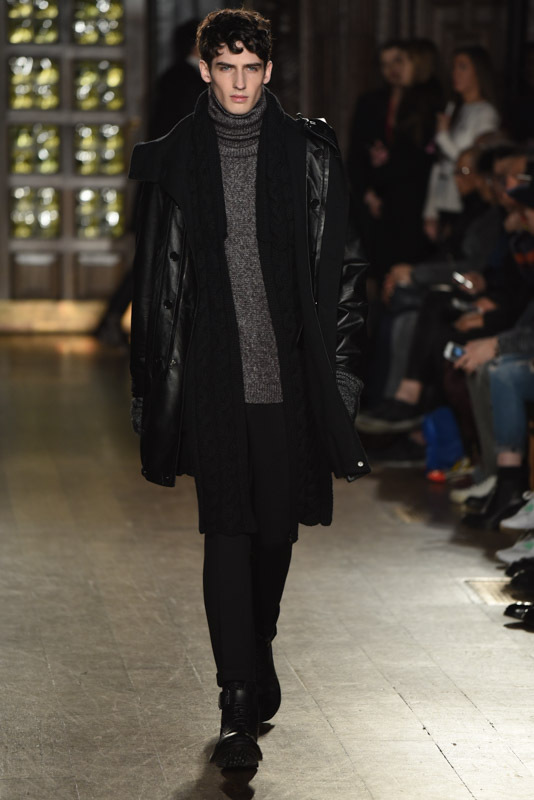 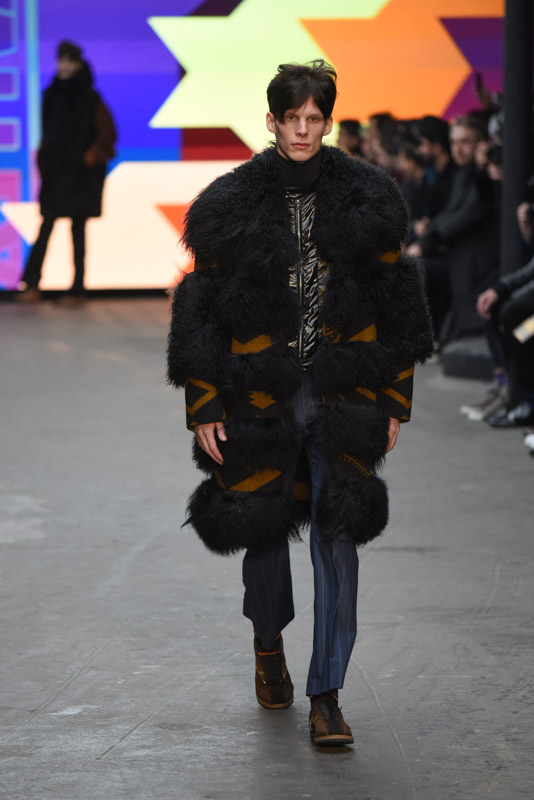 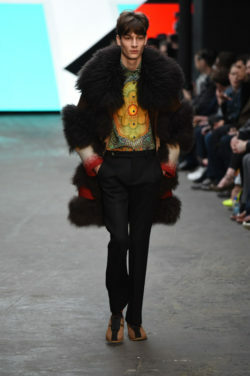 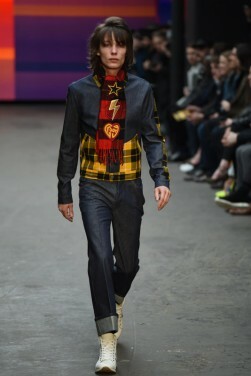 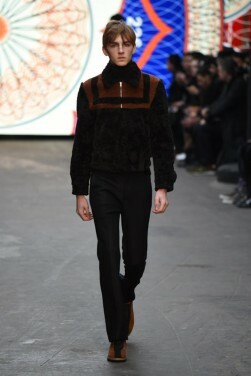 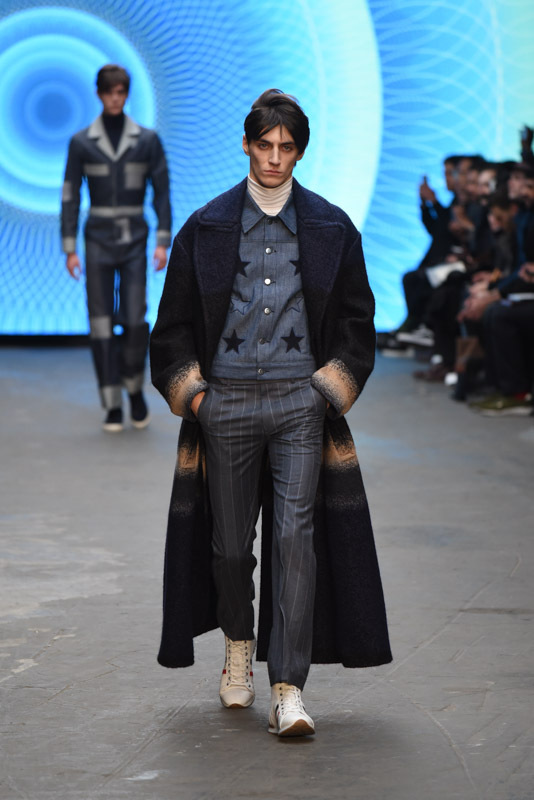 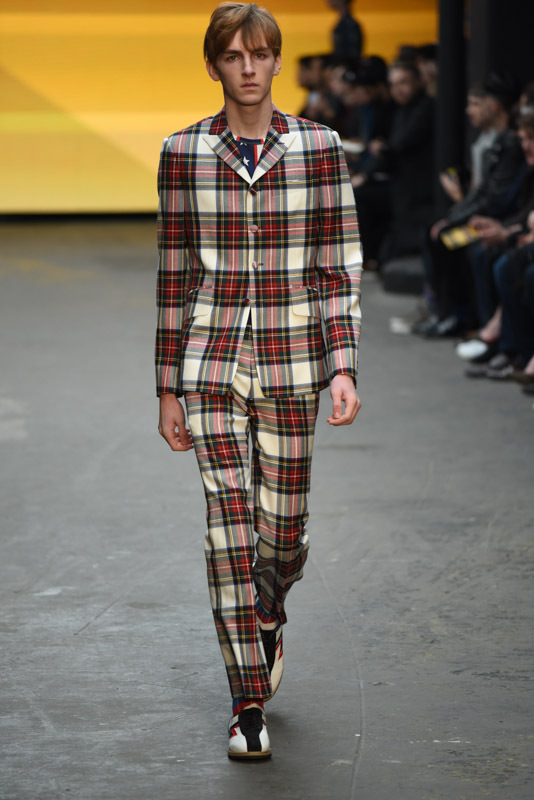 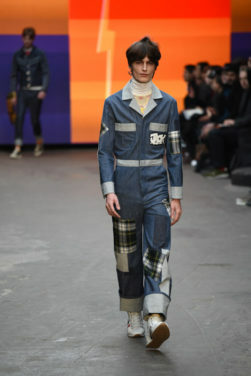 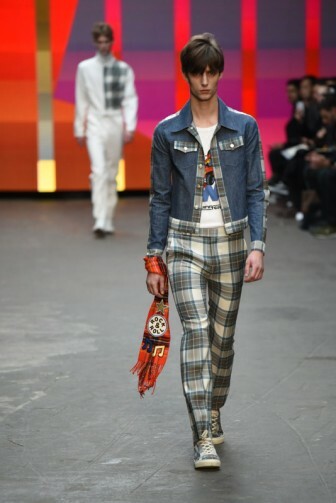 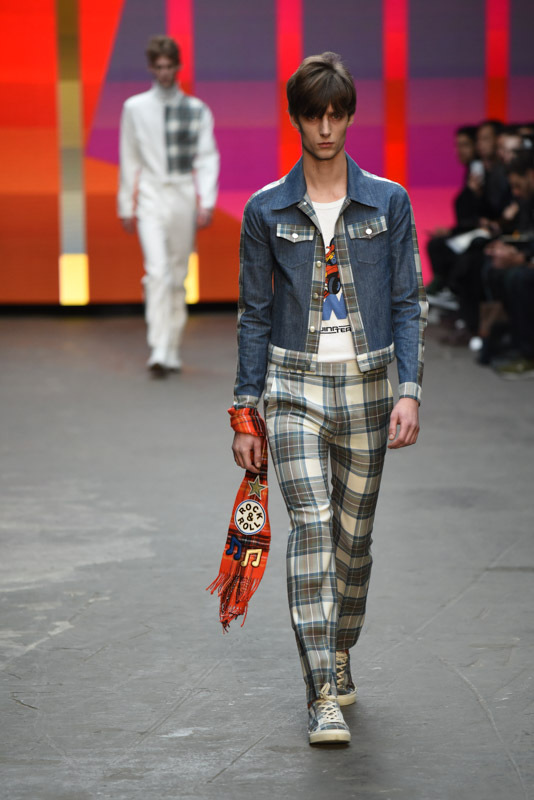 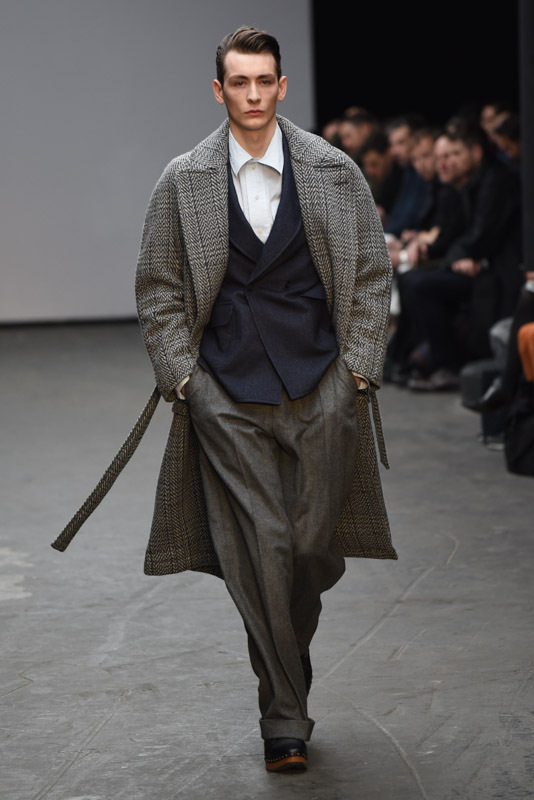 However key pieces from this show will be easy to incorporate into your style this season – flared trousers, fur, tartan (lots of it) and jumpers and jackets emblazoned with star prints. Keep trousers tailored as they do here – whether that is straight leg or flared they all have a more dressy look than your average pair of jeans – As in the look below you can make these pin stripe suit trousers more casual by pairing them with an unexpected jacket and over-sized coat. 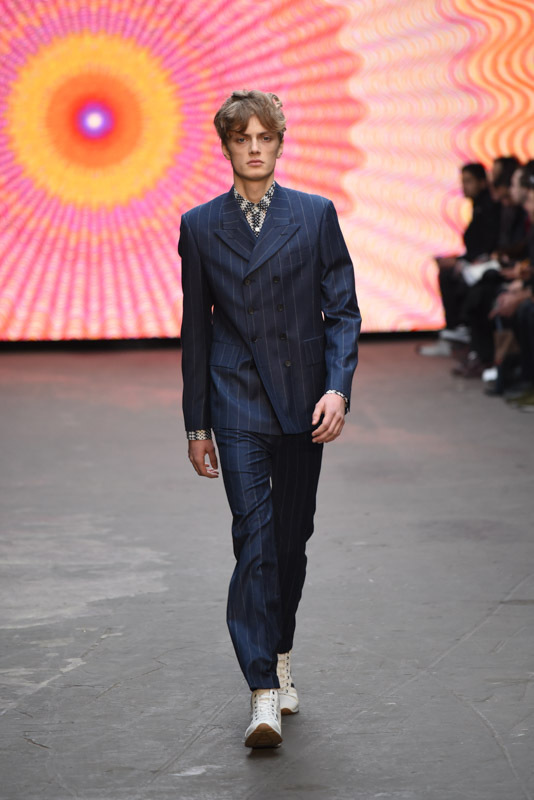 We are sure to see more and more of these aspects on the high street in the next few months with a revival of this bygone era of fashion.